Main aim of writing content is to explain the YouTube partner whether to attend this meet- up is useful for them or not. I think, time of youtube partner is very worthy. I attended YouTube meet-up on 29/01/2012. It was my first youtube Partner meet-up after becoming youtube partner for my free online Education project on Svtuition Youtube Channel. After coming from meeting, I started to write the positive and negative review of this meeting. On 16th Jan. 2013, I got youtube partner meet up’s invitation. I submitted this registration form because I thought, “it will be useful for me to learn something new and It will be also useful to answer my personal curiosity. I deeply viewed what the instructors explained in this meeting. Youtube India team’s teachers taught that there are big opportunities for online teachers in youtube. It is the second largest search engine of the world. In India, there are 12 crore internet users. In India, almost all have youtube account. 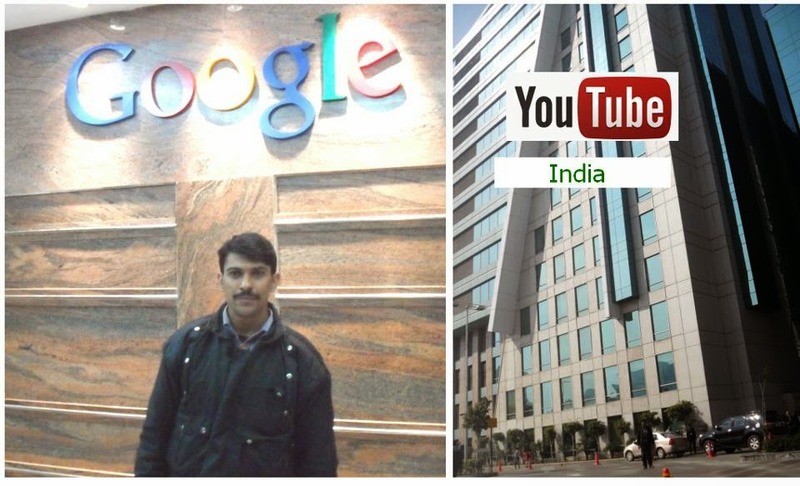 Not just India, online users come to youtube from whole world. Teacher can teach to all these users. They also wanted to tell that all these become successful online teachers on the basis of their hard work. All have lakhs of students who subscribed their youtube channel. You can learn lots of idea by watching these video channels. Youtube videos get highest traffic from suggested videos. By optimize your videos, it is more chance, it will come in suggested videos. a) You should have to make the related videos of famous videos. b) You also have to make video relating to your own famous videos. Before this meet-up, I did not have very deep knowledge of the importance of tag. If any youtube partner makes best youtube videos but did not come in the search, then it means, this youtube channel did not use the tag scientifically. c) Brand tag = name of youtube channel. Your videos’ thumbnails should be attractive because one picture can explain 100 words. Get idea from famous video’s thumbnails. You can promote your other YouTube channel through effective use of annotation. Today is to build loyal follower on the youtube is the big challenge for youtube partners. They have to make new on any unique concept. In India, there are lots of events which can increase your youtube views. For example, there are many festival like devali, you can start to teach special lessons. As youtube educationist, you should become regular. It will be helpful for becoming successful. I am happy, I got some of my questions’ answers in the meeting. I included this point as the negative list of review. It was the duty of youtube India Team to appoint both the teachers who are expert in Hindi and English. But, I saw, I asked my some questions in Hindi, they could not understand it properly. I am happy; they have tried to best to answer my question. But it would be better, if there were also teachers who can explain in Hindi. I think, youtube is in India. All the partners are Indian. Place is India. Youtube Instructors were Indian. So, interaction should be in Hindi Language. If it is not possible, then, it should be in clear words in the registration that question and answer session will only be in English. I and my whole organisation is animal lover. This point can clear from our philosophy section. Both Veg. and Non-veg. were available in the meeting. As an animal lover, this is like to hurt my emotional feelings. I do not eat the meat because I and our organisation want to protect animal at any cost. I also avoid the meeting in which non-veg. is included. I advice to company to inform in the registration, refreshment will be of both Veg. and Non-Veg. because there are lots of organisation who are working for animal rights and your given advance information will be helpful for taking better decision for attending or not to attending the meeting. No Comment to " Youtube Partners Meet-Up on 29/01/2013 in Gurgaon "